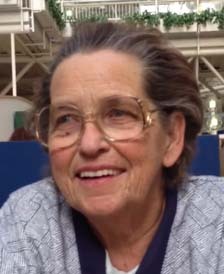 Obituary for Margaret Rose Borg | Prairie Sunset Funeral Home, Ltd.
With saddened hearts and loving memory, the family of Margaret Borg of Westlock, AB announces her passing on Monday, April 1, 2019. Margaret is survived by five children: Vern Cartwright, Bonny (Gerard) Pigeon, Jeannie (Ben) Loitz, Morris (Karen) Cartwright and Barney (Belinda) Cartwright; seven grandchildren and seven great grandchildren; one brother, Doug (Tania); along with other relatives and friends. She was predeceased by her parents: Otto and Florence; two sisters: Maria and Judy; one brother, Leonard. Margaret’s family is respecting her wishes to be cremated and no funeral service will be held.